LOOK UP! | Reflection of Glory! The RAIN finally came!! As I was in Choir practice, I could hear the downpour outside and the cracking and rumbling of thunder. But as I left the church, I saw it had stopped. 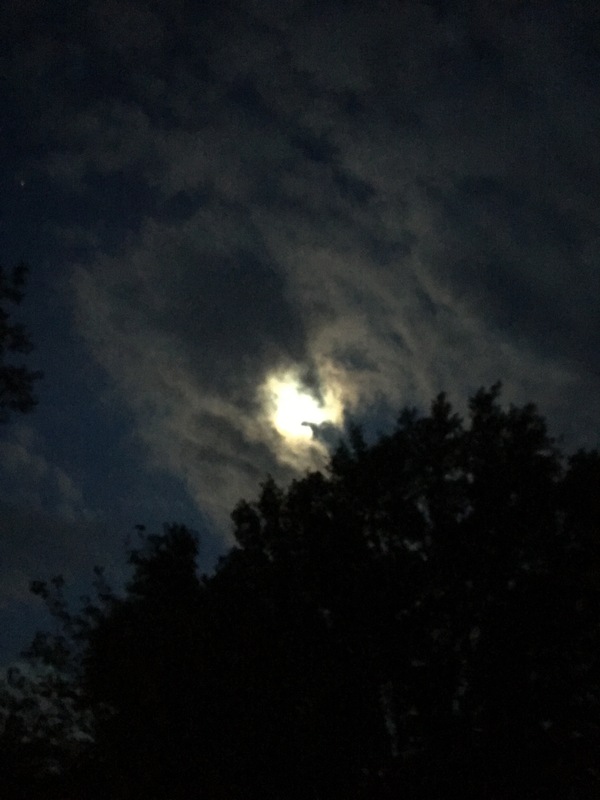 As I got closer to my home, my attention was drawn to the night sky – beautiful!! But what awaited me at home was not! My husband reported seeing hail (in Florida!) and the indoor/outdoor carpet on my porch was soaked. One bird feeder pole was on the ground…the other one leaning to the side. One heavy potted rose bush was about 2 feet from where it usually sat on the patio. And my poor plants looked like they had been in a boxing match! My husband estimated that the wind gusted about 50mph at times. When I got home all I saw was the result. There was no wind, no rain, and no thunder. And as I saw the devastation on the ground, I once again looked up and saw the beauty in the night sky – reminding me to keep my sight on things above – reminding me to keep my sight on God! In the coming days, we may not see what is happening spiritually…but we definitely will see the result! Open our eyes, LORD, that we may SEE! Open our ears, LORD, that we may HEAR! And open our mouths, LORD, that we may PRAY!